From stiff financial sanctions, license suspension, revocation, jailtime, and even potential prison time for felony offenses, there arestrict penalties for drunk driving in Illinois. If you have been chargedwith DUI, you want a lawyer who is experienced, respected and trulyunderstands DUI law and the consequences you face. understands DUI law and the consequences you face. I am attorney Alan E. Jones, and from my offices in Waukegan, since 1989 I have fought for my clients in all types of traffic violations and drunk driving issues throughout Northeast Illinois. I can help you with all your minor moving violations, DUIs, suspensions, revocations and any related license issues. 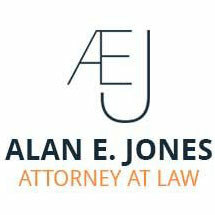 Contact Alan E. Jones, Attorney at Law for a free initial consultation. DUI: The DUI laws change every year. There are serious potential consequences for DUI, including jail for multiple time offenders. To be effective, a good traffic defense attorney must stay current on all of the changes and have tenacity in court. License Reinstatement: If you have lost your license, for most any reason, I can represent your best interests and help you regain driving privileges. minimize the consequences or your violations. Flat fees let everyone know what to expect from the very beginning -- no one likes to be surprised with a legal bill.